I will begin this next novel in the dark days of a Pennsylvania winter. Hopefully, by the time the summer sun stretches the hours into the longest day of the year, the first draft will be finished. I am aiming for 80,000 to 100,000 words (because the lower number is what’s in my contract), but how can you ever know how long it will take to tell a story? First, let me tell you why I’m journaling my way through writing this next novel. Steinbeck’s Journal of a Novel has always fascinated me. It is made up of his morning writing exercises, the ones he wrote every day before working on his masterpiece, East of Eden. He wrote by hand, and he would write one journal entry on the left-side page, and then he would write one page of the novel on the right-hand side. I found the journal entries compelling in their honesty, but I have also been intrigued by the premise because of how deliberate and important the journal entries seem to him. I have often wondered if I need to slow down my writing, think more clearly about it, explicitly talk about what I’m trying to accomplish in each day’s words. I wonder if this will help me work through various issues surrounding the story. So, that’s what I’m going to do. Or at least begin to try to do – I can’t guarantee I will finish it. I can’t promise that, once I begin, it will not feel more like an obstacle to the writing of this novel than otherwise. I guess we’ll see. I am writing this particular entry, dubbed #0, as an introduction of sorts, explaining what I want to accomplish and what I’ve done up to this point. 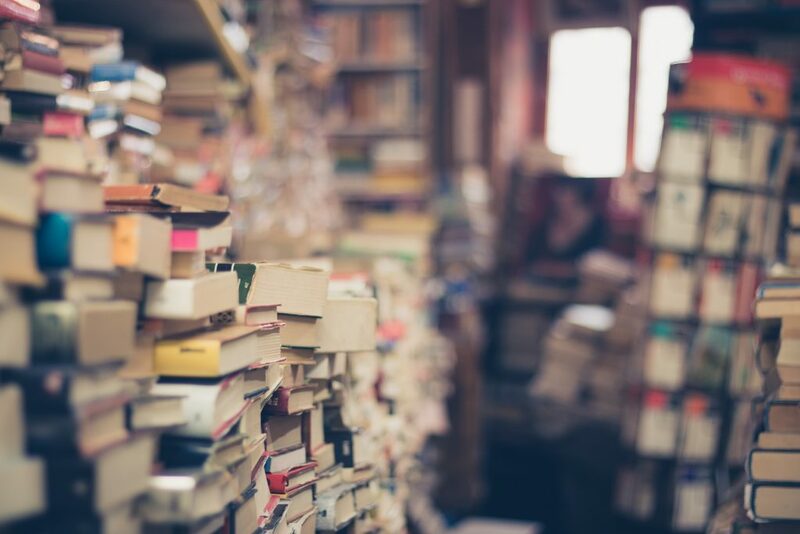 To bring you up to speed: I started work on this unnamed novel – I’ll have to come up with something better than “Unnamed Novel” for the purposes of this journal – about nine months ago, stumbling my way through the first 23,850 words. I say stumbling because I am learning this about myself, that when I start a story it emerges first from a character, and then from a trouble this character has. From there it lurches forward of its own accord for quite some time, but I know now from experience that I must begin guiding the lurching beast at some point or it will meander off into some dark and unrecoverable place. At the 23,000-word mark, I could tell it needed guidance. But it was also at that point that another project took my attention. I had to set this story aside all these months, but now it is the next book in line, and I am eager to write it. This is not to say the last nine months have been without work on this story. It has simply been interior work. It is kind of a weary metaphor, perhaps overused in the world of creativity, but here it is, nonetheless: pregnancy comes to mind. The last nine months have been full of mostly unseen work, interior work. 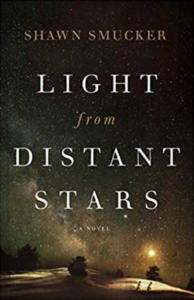 I have spent many hours, mostly while driving for Uber, thinking about this book, getting to know the characters and places and problems in my mind. The story has changed and solidified during this last nine months. It begins to feel less like a story I am making up than a story someone once told me, or a family tale passed down. I am ready to write it. 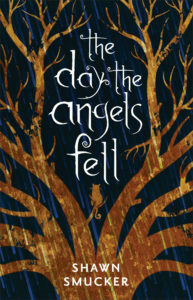 – My first novel, a YA book of magical realism, came out in September, 2017, and was called The Day the Angels Fell. 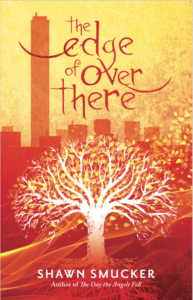 – The sequel to that book, The Edge of Over There, is already written and comes out July 3rd, 2018. 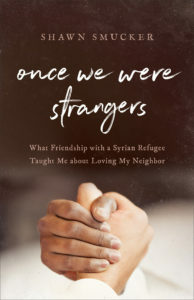 – A work of nonfiction that I wrote with the help of my Syrian refugee neighbor, called Once, We Were Strangers, releases just after that, in October of 2018. Those three books are all written, so now I finally have time to work on this novel, which has no name and will come out in the summer of 2019. Here are my goals – to write one, short journal entry and then to write at least 1,000 words in the story every weekday. Simple, right? Come along on this journey, if you’d like, and I’ll send you the journal entries I write about writing. I won’t give too many details about the plot or the story itself (although I’m sure a few things will slip in). But I will talk about what I’m trying to accomplish with the development, pace, and all manner of other things having to do with writing this story. I’ll talk about where I’m writing and how it’s going. I’ll talk about how many times the children interrupt me and when I feel like the writing is no good and working past the voices in my head. I’ll probably talk about that last one a lot. You are the third person I have come across that is doing this – first was John Steinbeck, second was myself. I call mine a Development Journal that I write at the end of my writing day, outlining what I wrote, how I felt about what I wrote, related events of the day, musings and ending with a map for tomorrow’s writing day and is kept in the Scrivener project file of my MS. I look forward to following you on your writing journey.